WHY JEWISH PEOPLE REJECT JESUS AND THE NEW TESTAMENT. Shalom. Our teaching this morning will be from Leviticus 5.17-19, and the Title of our Message is, “Why Jewish People reject Jesus and The New Testament?”. So with that said, let’s read Leviticus 5.17-19. The reason for the existence of the Jewish People is to be GOD’S witnesses. GOD adopted the Jewish People out of the Gentiles when He chose Abraham to make of him a great Nation and to bless him and make his name great. Genesis 12.1-3. And the Jewish People are GOD’S son. Israel is GOD’s firstborn. Exodus 4.22. And GOD revealed His Glory to the Children of Israel during their forty year journey to the Promised Land when He led them in the Day by His Cloud of Glory and in the night by His Fire of Glory. And GOD’S Glory filled The Temple when Solomon dedicated The House of The LORD to The LORD our GOD. GOD also made His Covenants with the Jewish people including The New Covenant for atonement. And as The Law requires that “It is the blood that makes atonement for the soul”, Leviticus 17.11, The New Covenant was fulfilled by the shed blood of Messiah Yeshua’s atoning death for the forgiveness of our sins. Jeremiah 31.31-34. Also GOD gave His Laws to the Jewish people that are written in The Law of Moses for all mankind to live by. Deuteronomy 32.1. And GOD has given the Jewish People the proper service of The LORD GOD ALMIGHTY in The Temple through The Law of Moses, the Priesthood and The Temple Worship on the weekly Sabbaths, and The Feasts of The LORD that are written in Leviticus 23. And GOD has given the Jewish People all His promises and teachings that are written in The Bible. The fathers, Abraham, Isaac and Jacob are Jewish. And as a human being, The Messiah Yeshua, GOD ALMIGHTY was born from the Jewish People, Isaiah 9.6(5), Micah 5.2(1). And GOD in His love for the Jewish People has chosen them to be His witnesses to the world, Isaiah 43.10. And as GOD’S witnesses, the Jewish People accomplished their responsibility by writing The Bible from Genesis through Revelation for the world to know, believe, and understand GOD, that there is ONLY ONE GOD and no others. And GOD teaches in The Law of Moses that sin is breaking any of GOD’S Commandments or Laws. And The LORD also teaches in The Law of Moses His Way for atonement that forgives our sins, by the shed blood of the sacrifice. LEVITICUS 5.17-19 The Hebrew word for Commandments in Verse 17, “And if a soul sin, and commit any of these things which are forbidden to be done by The Commandments of The LORD,” Commandments in Hebrew MEETS’VOTE meaning The Commandments of The LORD are Collectively The Law of Moses. Certainly we all sin from time to time. Thus John writes, “If we confess our sins, GOD is faithful and just to forgive our sins and to cleanse us from all unrighteousness.” 1 John 1.9. But it is important to understand what GOD requires of us after our sins are forgiven in Yeshua The Messiah. And this is what GOD requires of us; To fear The LORD our GOD, to walk in all His ways, and to love Him, and serve The LORD our GOD with all our heart, with all our soul, to keep the Commandments of The LORD and His Statutes which GOD commands us for our good. The word atonement in Hebrew is KAH’FAR meaning to cancel our sins and forgive us. Much of GOD’s teaching in Leviticus and Numbers in The Torah centers on atonement, and this indicates the critical importance for the forgiveness of our sins. GOD stresses the need for atonement for every human being, and He emphasizes that atonement can only be made by the shed blood that is given to us upon the altar to make atonement for our souls, Leviticus 17.11. And GOD, making animal sacrifices unlawful without a Temple in Jerusalem, Leviticus 17.8-9, that altar for atonement was a Roman cross in Jerusalem where The Jewish Messiah Yeshua was killed, and shed His blood for the sole purpose of being our Atonement. For Jewish People, for Gentiles, for everybody. That is The New Covenant that forgives our sins and remembers our iniquities no more. Jeremiah 31.31-34. But without Atonement for our sins, GOD promises to blot our name out of The Book of Life, thus having no hope for eternal life in Heaven. Exodus 32.33. Unfortunately, Judaism whom GOD has given The Law for atonement by the shed blood, and their Messiah Yeshua Who shed His blood for the forgiveness of their sins, teaches that atonement can be achieved through different alternatives, disregarding GOD’S instructions in Torah that it is the blood that makes atonement for the soul. Those Jewish alternatives for atonement are good works, a man’s table is an atonement, acts of kindness bring atonement, and charity brings atonement. All very nice but none of them accomplish atonement in the eyes of GOD. Today it is the shed blood of The Jewish Messiah that makes atonement for the soul. Isaiah 53.10. The Rabbis are not teaching their People correctly about GOD’S Atonement and we all suffer. And then there is Christianity that teaches that atonement and reconciliation are effected by the death of Jesus Christ in His incarnation, life, death, resurrection and ascension. All proper teaching. But then Christian doctrine proceeds to destroy Biblical doctrine by their man made lies that GOD’S Laws that are written in The Law of Moses are no longer in effect because of assorted lies that have nothing to do with the written Word of GOD in The Bible. Thus Church doctrine teaches lawlessness, sin, unrighteousness, transgression and iniquity against GOD by rejecting The Law of Moses making the Christian void of Atonement and Salvation even with their belief in Jesus Christ by living in absolute disobedience to GOD. See JOHN 4.22, DEUTERONOMY 10.12-13 and MATTHEW 7.21-23. Now to the question, Why do Jewish People reject Jesus and The New Testament? Before I came to believe in Jesus, His given Hebrew Name is Yeshua meaning Deliverance and Salvation, I thought that Jesus Christ was the number one anti-Semite in the world because of the huge number of Christian atrocities against the Jewish people in the Christian pograms in Europe, and the Crusades, the Inquisition and the Holocaust. And I believed that Jesus was the Christian leader who influenced all these atrocities. Until I read The New Testament. How wrong I was about Jesus. Jesus or Yeshua is Jewish, and He loves His Jewish people so much that He gave His Life for us to be our Atonement, to forgive all our sins, and remember them no more. So this week I decided to investigate that question, why Jewish People, not all, despise and reject Jesus and The New Testament. Both are Jewish. That is, Jesus or Yeshua is Jewish. In fact, Yeshua is GOD ALMIGHTY, THE HOLY ONE OF ISRAEL, HASHEM. He is ELOHIM. And He alone is GOD. And YESHUA is The Promised MESSIAH to the Jewish People. The New Testament is a Jewish Bible written by Jewish People, having the same importance as Moses, the Prophets, Ezra and Nehemiah and other Jewish People who wrote The Tnakh, The Old Testament. Messiah Yeshua’s disciples were all Jewish as were His apostles, GOD’s messengers who were sent to teach The Word of GOD. They were all Jewish. So why do Jewish people reject Jesus and The New Testament? First question. Why are Jewish People taught to reject Jesus? Jewish answer: Because Christianity teaches that Jesus is GOD and Judaism teaches that He is not GOD. He is a man. And many Jewish people believe that Jesus is not a prophet. Why are many Jewish People opposed to The New Testament and the thought of it is repugnant and offensive? Because Christianity teaches that The New Testament fulfills the promises and teachings of The Old Testament. That is to say, Christianity teaches that The New Testament has ended the teachings and promises of The Old Testament, therefore ending The Law of Moses. And much of the church teaches that the church has replaced the Jewish People as GOD’S chosen people, and the church has inherited the sacred Scriptures from Judaism. My answer is this. If that is in fact Christian teaching, those teaching those lies should be very frightened of meeting GOD, for GOD is a consuming fire. Hebrews 12.29. The New Testament, better called The New Covenant, is The New Covenant in Yeshua The Messiah for the atonement of our sins. Nothing changes or ends in GOD’S teachings, His promises, His Word, His Laws and Commandments that are written in The Old Testament. The New Testament never speaks of any changes. Only the atonement of Messiah Yeshua and His Return along with other Biblical teachings that agree with The Old Testament because New Testament teachings come from The Old Testament. In fact, The Old Testament, and The New Testament are One book, One Bible. Both teach GOD’S Laws on how to lead a GODLY life pleasing to GOD by living according to GOD’S Law Of Moses. And The New Testament is the fulfillment of the hundreds of Old Testament prophesies concerning the coming of The Jewish Messiah. Why were most Jewish People reluctant to accept Yeshua as The Messiah? Judausm teaches that in Jewish tradition, the arrival of The Messiah was to bring peace and joy, and eliminate all offensive conditions and wars, and restore Israel to its former glory. Jesus did not accomplish that, they say. My answer is this. GOD Himself said in prophesy that Messiah would be despised and rejected of men, Isaiah 53.3. That was accomplished at His first coming. The prophesy continues that Messiah had done no violence, neither was any deceit in His Mouth, Isaiah 53.9. That He shall not cry, nor lift up, nor cause His Voice to be heard in the street. A bruised reed shall He not break, and the smoking flax shall He not quench. He shall bring forth judgment unto the truth. Isaiah 42.2-3. And prophesy reads that Messiah would be hated without a cause, and He still is. Psalm 69.4(5). And it is the prophesy of GOD that GOD Himself would make Messiah’s Soul an offering for sin. Isaiah 53.10. Messiah Yeshua came the first time Not to restore Israel to its’ former glory, but to be Israel’s atonement for their sins. And Israel needs Messiah’s atonement today. And finally, why are Jewish people taught to reject the Christian teaching that Yeshua was born of a virgin that is written in Isaiah 7.14. The prophesy reads, Therefore The LORD Himself shall give you a sign. Behold, the virgin shall conceive and bear a Son, and shall call His Name Immanuel, meaning GOD with us. The answer is long expressing unbelief in the virgin birth for numerous reasons. My answer. The virgin birth is not Christian teaching. The virgin birth is prophesy from the Lips of GOD. The Word “sign” in Hebrew is OTE meaning a sign and a miracle. The miracle is that The Messiah was born of a virgin. The virgin was Miriam, a nice Jewish girl. The sign is further evidence that Messiah Yeshua IS The Messiah, GOD With Us. The reasons for Jewish People not believing in Jesus or The New Testament are numerous. I just mentioned a few. But the decision for belief in Messiah is not ours to make, but The LORD GOD ALMIGHTY Who determines whether we believe in Messiah Yeshua or not. Whether we believe correctly according to The Word of GOD, or incorrectly according to the teaching of men and women. It is GOD Who formed us, and determined our entire life. Everything about us is GOD’s determination. ZECHARIAH 12.1. I believe if Jewish people would read The New Testament which is part of The Torah, Hebrews 8.6, without prejudice, putting aside negative traditions, seeking the truth, there is a good possibility GOD will show you that Messiah Yeshua is Jewish, that He loves His Jewish People, that He is The Messiah, GOD ALMIGHTY, HASHEM, and His death is your Atonement for your sins. Jewish People, like everyone else in the world, need Atonement to remain written in GOD’S Book of Life for eternal life in Heaven. And there is only one Atonement available, your Messiah Yeshua. So have courage and read The Bible from Genesis through Revelation and perhaps it is the Will of GOD for you to be part of GOD’S special family who will spend eternity in Heaven with Him. Posted on October 26, 2014 March 24, 2015 Categories Shabbat MessageLeave a comment on WHY JEWISH PEOPLE REJECT JESUS AND THE NEW TESTAMENT. THE VALLEY OF THE DRY BONES. Shalom. Our teaching this morning will be from Ezekiel 37.1-14, and the title of our message is, The Valley Of The Dry Bones. So with that said, let’s read Ezekiel 37.1-14. EZEKIEL 37.1 GOD gave the prophet Ezekiel a vision of an open valley that was filled with dry human bones. The LORD carried Ezekiel out by the Spirit of The LORD, and in this vision GOD set Ezekiel down in a valley that was filled with dry human bones. A vision is somewhat like a dream, but not a dream. Perhaps like a movie, and Ezekiel was in it. And Ezekiel was in a huge valley filled with dry human bones. And the vision is prophesy of things to come. This vision of a huge open valley is most likely a prophesy symbolic of all the nations of the world where Jewish People have lived and died. This is the vision that GOD gave to Ezekiel. And the dry bones are the Jewish People who have died. EZEKIEL 37.2 In the vision GOD had Ezekiel walk by the dry bones, and there was a huge number of them in the valley. And The Bible says, the bones were very dry. I believe that in the future when the LORD forms these bones into human beings, they will result in the greater number of the Jewish People who have lived and died from the days of Abraham and Sarah. Perhaps one billion or more Jewish People. Picture yourself in a valley filled with billions of dry human bones on the ground, and The LORD speaking to you of things to do and say. That’s where Ezekiel was in this vision. EZEKIEL 37.3 Can these bones live? GOD asked Ezekiel. Most people would say, What, are you kidding? Not a chance. But the prophet Ezekiel is not most people. He knew that with GOD all things are possible. Nothing is too hard for The LORD, The Creator of Heaven and earth and all that is in them. And Ezekiel answered, O LORD GOD, You know. The LORD GOD Almighty is Yeshua The Messiah. EZEKIEL 37.4 And GOD said to Ezekiel, prophesy upon these bones, and say to them, dry bones, hear The Word Of The LORD. Every prophesy GOD speaks comes to pass. They happen exactly as GOD spoke. And this prophesy as well will come to pass, exactly as GOD spoke. EZEKIEL 37.5 This is what GOD told Ezekiel to say to the dry bones. Thus saith The LORD GOD, Behold, I will cause breath to enter into you, and you shall live. When GOD speaks, great things happen. Great miracles happen. When GOD breathed His Spirit into us giving us Life at birth, He also formed us. He formed our body, our appearance, and our mind. And GOD determined the person that we are now. And He determined everything in our life. Zechariah 12.1. EZEKIEL 37.6 Sinews are tendons. A tendon is a cord or band of tough tissue that is not elastic. They do not stretch and return to form. All the parts of a tendon are closely connected together that connect a muscle with a bone. GOD creates all things. So GOD will connect the tendons with the bones, and bring flesh upon the bones, and cover the bones with skin. Flesh is the soft substance between the skin and the bones. And skin as we all know is the external covering of the body. And then GOD will put breath in them, and they will live. And GOD says, and you shall know that I AM The LORD, meaning I Alone Am GOD and there are no others. EZEKIEL 37.7 So Ezekiel prophesied as GOD commanded him. And as Ezekiel prophesied among these billions of bones, there was a noise that came from the bones, and a shaking like a violent clamorous chaos. The bones supernaturally were coming together, bone to its bone, matching bone to its proper place in its body. GOD’S ways are past finding out. He is Holy in all His works. His ways are everlasting. Great and marvelous are Your Works LORD GOD Almighty, just and true are Your Ways Thou King of the saints. EZEKIEL 37.8 And Ezekiel looked in amazement at all the bones coming together. And the tendons and flesh came up upon them. And skin covered them. And before his eyes, they became people. But there was no breath in them. There was no life in the people. EZEKIEL 37.9 And The LORD said to Ezekiel, prophesy to the wind. The wind in Hebrew is the RU’AKH, The Spirit of GOD. Prophesy son of man, GOD said, prophesy and say to the wind, thus saith The LORD GOD, come from the four winds, come from the four quarters of the earth, and breathe upon these slain that they shall live. The wind is GOD, The Spirit of GOD, the Spirit of Life that we walk in daily. PSALM 90 is written by Moses that reads; LORD, you have been our Dwelling Place in all generations. Before the mountains were brought forth, or ever, You have formed the earth and the world, even from everlasting to everlasting. You are GOD. You turn man to destruction, and say, Return you children of men. For a thousand years in Your sight are but as yesterday when it is past, and as a watch in the night. You carry them away as with a flood. They are as a sleep. In the morning they are like grass which grows up. In the morning it flourishes, and grows up. In the evening it is cut down and withers. For we are consumed by Your anger, and by Your wrath we are troubled. You have set our iniquities before You, our secret sins in the Light of Your Countenance. For all our days are passed away in Your wrath. We spend our years as a tale that is told. The days of our years are seventy and if by reason of strength, they are eighty years. Yet is their strength labor and sorrow. For it is soon cut off, and we fly away. Who knows the power of Your anger? Even according to your fear, so is Your wrath. So teach us to number our days that we may apply our hearts to wisdom. Return O LORD. How long? And show mercy concerning your servants. O satisfy us early with Your mercy that we may rejoice and be glad all our days. Make us glad according to the days wherein you have afflicted us, and the years wherein we have seen evil. Let your work appear to your servants, and Your Glory to their children. And let the Beauty of The LORD OUR GOD be upon us. And establish the work of our hands upon us, yes, the work of our hands establish Thou it. EZEKIEL 37.10 So Ezekiel prophesied as GOD commanded him, and breath came into them. That is The Spirit of GOD came into them and they lived, and stood upon their feet, an exceeding great army. Meaning, A very, very great army, or a very, very great host of people of strength and power, virtuous and worthy, and upright. EZEKIEL 37.11 Then The LORD said to Ezekiel. The Hebrew for Ezekiel is YEH’KHEZ’KAY’EL meaning GOD will strengthen. GOD said to Ezekiel, son of man, these bones are the whole House of Israel. Or the Hebrew translation might read, all these bones are The House of Israel. I believe this prophesy means that GOD will resurrect millions upon millions of Jewish people, perhaps a billion Jewish people (there are only about 14 million Jewish people in the world today). GOD will raise these Jewish People from the dead at the end of days when The Jewish Messiah Yeshua returns. And they will be the whole House of Israel along with those Jewish People who will be alive at Messiah’s return whom GOD has determined for eternal life because of their faith in The Messiah Yeshua, and because they served The LORD in obedience to His Torah, The Law of Moses. And GOD will raise them up to meet The LORD in the air and proceed to the Messianic Kingdom in Israel, along with the non-Jewish People whom GOD has determined for eternal life because of their faith in The Messiah Yeshua, who have served The LORD in obedience to His Law of Moses. And continuing in Ezekiel 37.11, the verse reads, Behold, the Jewish People said, our bones are dried, and our hope is lost. We are cut off completely. But GOD will never forsake His people, and He will raise many to eternal life. GOD’s assurance of eternal life is clearly written in The Bible. Believe in Messiah Yeshua Who is GOD Almighty for atonement, the forgiveness of your sins. And then live a GODLY life by obeying The Almighty GOD, His Laws and Commandments that are written in The Law of Moses. EZEKIEL 37.12 GOD will raise His people from the dead, and many will be delivered, everyone that is found written in GOD’s Book of Life. And many of them that sleep in the dust of the earth shall awake, some to everlasting life, and some to shame and everlasting contempt. These words are from Daniel 12.1-2. 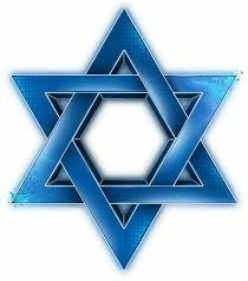 EZEKIEL 37.13 The Jewish people are GOD’s People, and GOD is our GOD, a promise and a covenant that GOD made with Abraham and the Jewish People 4,000 years ago, which covenant stands forever and will never be broken, nor will it end. EZEKIEL 37.14 And GOD will put His Spirit of Life in them, and give them His Holy Spirit Who will teach them The Truth. And The LORD will place His People in their own Land, The Land of Israel. And they will know that The LORD has spoken these Words, and performed them, saith The LORD. In conclusion, Ezekiel 37 is a prophecy of the resurrection of Israel, the majority of the Jewish People at the end of days when their GOD and Messiah Yeshua returns to establish His Messianic Kingdom in Israel for 1,000 years of peace and joy. Zechariah 14. And GOD will make a New Heaven, and a New Earth, The Holy City New Jerusalem where GOD will supernaturally bring His people, the Family of GOD where we will dwell in Paradise forever and ever. And this earth will flee away and vanish. REVELATION 20.7-15, AND REVELATION 21 AND 22. Thus, it is of great importance to understand what Yeshua The Messiah means when He said, “Salvation is from the Jews”. To enter The Kingdom of GOD, one must do the Will of GOD. And the Will of GOD is for Jews and Gentiles to live by every Word GOD gave to the Jewish People written in The Bible. And that is belief in Messiah Yeshua, and obedience to all GOD’s Laws that are written in The Law of Moses. That is Life, and that is Eternal Life. Posted on October 19, 2014 March 24, 2015 Categories Shabbat MessageLeave a comment on THE VALLEY OF THE DRY BONES. DON’T WORRY. GOD WILL PROTECT YOU FROM ALL HARM. Shalom. The Title of our message this morning is, GOD will protect you from all harm. And that is so comforting in these days. With the outbreak of ebola and terrorism and destruction, The LORD GOD assures you that you don’t have to worry because The Almighty is your defense, your security, and your protection from all harm. In Him will I trust. So with that said, our Study this morning will be from Psalm 91. So let’s read Psalm 91. PSALM 91.1 He that dwells in the secret place of The Most High shall abide under the shadow of The Almighty. Sweet poetry for he or she who is established in the shelter of The Most High shall remain under the protection of The Almighty GOD. Let’s set some ground rules. What does GOD require of us to dwell in the secret place of The Most High, in the shelter of His protection? The other day I read the second and third chapters of Revelation about the various Churches. In truth, there were no Churches nineteen hundred years ago. They were probably called Congregations, or perhaps Messianic Congregations. But Messiah’s teaching is for both Congregations and Churches. Messiah Yeshua, The Almighty said to John, write to the leader of the Congregation of Ephesus and say to him, nevertheless I have this against you, because you have left your first love. Remember therefore from where you have fallen. REPENT and do the first works or else I will come to you quickly and remove your candlestick, that is, your Congregation from its place, except you REPENT of your sins. Thus GOD requires that we repent or have repented from our sins to remain with our First Love. Our First Love is Yeshua the Messiah, The Almighty. And GOD’S explanation of repentance is to turn from all our sins. Sin is breaking The Law of Moses. 1 John 3.4. Turn yourself from all your sins, The LORD says, and obey GOD’s Laws and Statutes that are written in The Law of Moses. That is GOD’s explanation of repentance. REVELATION 2.1 The angel of the Church or the Congregation is its leader. REVELATION 2.7 To him that overcomes is overcoming sin by repenting and turning to GOD and obeying His Laws that are written in The Law of Moses. EZEKIEL 18.21 The Hebrew word for wicked is RAH’SHAH meaning morally wrong, guilty, ungodly, and wicked. PSALM 91.2 My refuge means my shelter, my hope, and my trust. My fortress is my castle, my defense, and my fort. I will say to The LORD, He is my refuge and my fortress, my GOD. In Him will I trust because He is my refuge and my fortress. PSALM 91.3 The LORD your GOD will deliver you from the trap, and from the deadly pestilence because The LORD has compassion on you, and He loves you. Certainly you know that The Almighty has power over everything and everybody. And He will deliver you from the snare of the fowler. That is, GOD will deliver you from any trap that might be set against you. And He will deliver you from the noisome pestilence, such as the plague of ebola or terrorism, or any other deadly disease. It will not come near you, nor will it come near your family. PSALM 91.4 A buckler is a shield that surrounds you. Thus GOD surrounds you, and protects you. He covers you with His feathers, and under His wings shall you trust. His truth shall be your shield and buckler. GOD’s truth is every word He speaks. Every promise He makes. You can be certain of it. JOB 36.11 Prosperity in Hebrew is TOVE meaning good, and precious, and prosperity. And you will spend your days in good when you obey and serve the LORD your GOD. PSALM 91.5-6 GOD protects you at all times. Night, day, Sabbaths, Holy Days, every day. GOD will protect you from every pestilence, every plague, every deadly disease. He will protect you from all terror, and from every destruction of every kind. You don’t have to be afraid because The Almighty GOD will always protect you and your family. But how? GENESIS 2.7 tells us how? The word formed in Hebrew, as in GOD formed man, is YAH’STAH meaning GOD fashioned us as a potter. Not only our body and mind and what we look like, GOD has also determined who we are. And GOD breathed the breath of life into us. That is GOD breathed His Spirit into every creature, and every human being making the creatures living creatures, and the humans living human beings. The life we have is the Spirit of GOD living in us. GOD is Life. John 1.4 In Him, Yeshua The Messiah, was life and He is life. PSALM 91.9-10 Remember, my refuge is your shelter, your hope, and your trust. And The Most High is your habitation, your dwelling place, your home. So, because you have made The LORD which is my refuge, even The Most High your habitation, there shall no evil befall you, neither shall any plague come near your dwelling. The news today for the most part is bad. Wars, killings, murders, crime, terrorism, plagues, ebola, hurricanes, floods, fires, and earthquakes. The list goes on. But no evil will befall you. No evil will approach you, no evil will happen to you, and no evil will come upon you. That is the heritage of the righteous of the LORD. ACTS 12.17 GOD said to Peter, Go show James and the brethren the amazing miracles and deliverance of GOD. For GOD shall give His angels charge over you. GOD commands His angels to keep you in all your ways. They shall bear you up in their hands lest you dash your foot against a stone. PSALM 91.13 Look, this is not a suggestion to trample on lions and snakes. I believe the writer is telling us that The LORD our GOD will protect us and deliver us from every danger, every fear, every problem, every disease, every plague, every terror, and every pestilence. Don’t worry about those things. GOD will protect you from harm. Be certain of it. PSALM 91.14 These are the words of The LORD reassuring us of His protection from harm, because we have set our love upon The LORD our GOD. Therefore, The LORD says, I will deliver you because you have know My Name. PSALM 91.15-16 This is a GODLY person who wrote this Psalm. A person who had many experiences in life as we all have. And not all fun and games, but with troubles, and problems, and pain, as we have experienced. And the person who wrote this Psalm has passed on the rewards of the righteous from the encounters, and even the tests in his or her life, assuring us that when we call upon The LORD, GOD will answer. The writer knows from experience that The LORD is with us in troubles. And The LORD will deliver us from them all. That no weapon, or terror, or pestilence, or destruction will come near us. And listen to this. The LORD your GOD will honor you. How great is that to be part of the Family of GOD, knowing His Name, doing what He requires, because you have made The Most High your dwelling place where you live, making Him first in your life before anybody and any thing. And with long life will GOD satisfy you, and show you His Salvation. Not only will GOD show you His Salvation, GOD’s Salvation will appear to you. And GOD’s Salvation is Yeshua, Yeshua The Messiah, The Mighty GOD, The Everlasting Father, The Prince of Peace, The GOD of Creation, The Almighty GOD. Amen. Posted on October 12, 2014 March 24, 2015 Categories Shabbat MessageLeave a comment on DON’T WORRY. GOD WILL PROTECT YOU FROM ALL HARM. THE FEAST OF TABERNACLES, WHERE MANY BELIEVED YESHUA WAS THE MESSIAH. Shalom. Our teaching this morning will be about The Feast of Tabernacles, or The Feast of Sukkot. Sukkot in Hebrew can be translated as huts, or booths, or tabernacles. And The Title of our message is, THE FEAST OF TABERNACLES, WHERE MANY BELIEVED YESHUA WAS THE MESSIAH. LEVITICUS 23.33-34 The LORD’s Feast of Tabernacles is for seven days, but we will see in a moment that The LORD GOD adds another day that He calls a Solemn Assembly, or as Judaism calls the eighth day, Shemini Atzeret the solemn gathering of the eighth day. Tabernacles’ appointed time is on the 15th day of the Hebrew month Tishrei. That day is today. And The Festival is five days after Yom Kippur, The Day of Atonement, and fifteen days after Rosh Ha Shannah, or The Blowing of Trumpets. Tabernacles, like all the other Feasts of The LORD is a Feast unto The LORD. LEVITICUS 23.35 The Feast of Tabernacles is a Holy Convocation. It is a Sacred Day set apart for The LORD And a special time for the people to gather at a Service. And no work of any kind is to be done in The Day. I know that many Jewish People see Isaiah chapter 53 as prophesy concerning Israel. It is not. Isaiah 53 is prophesy about the Promised Messiah Yeshua. Israel and the Messiah Yeshua have many similarities. Both are Jewish of course. And both are despised and rejected of men. Both Israel and The Messiah Yeshua were wounded, bruised and killed for the transgressions of the Jewish People. And both were resurrected from the dead. Israel on May 14, 1948 after returning from the death camps in Germany. But what disqualifies Israel from this prophesy is that The One Who is prophesied of, Messiah Yeshua, had done no violence, neither was any deceit in His mouth. Verse 9. Israel on the other hand is required to be violent just to remain alive. And Israel is not our offering for sin, nor is Israel our atonement for the sins of the Jewish People and all the world. Yeshua the Messiah is. Verse 10. Thus the teaching of man’s doctrine that replaces GOD’s doctrine for atonement discourages the Jewish People from receiving atonement for their sins. GOD teaches through the prophet Jeremiah that The New Covenant is given to the Jewish People for all mankind for atonement, for the forgiveness of all our sins. And The New Covenant is the Jewish Messiah Yeshua. And simply by believing in The Messiah Yeshua, GOD forgives your iniquity, and remembers your sin no more. JEREMIAH 31.31-34. Unfortunately the majority of the Jewish people reject their own Messiah Yeshua Who is The Messiah and Elohim, The GOD OF ISRAEL, and He is our atonement that keeps us IN GOD’S Book of Life. Judaism also teaches that the doctrine of vicarious atonement, that is the death of one for another, plays very little role in Judaism. Yes, sacrificing children or any other human being is an abomination in the eyes of GOD. But GOD is not a man nor is He a human being. He is Elohim. And it is Elohim Who gave His Life for His Jewish People and all the world for our atonement. The Messiah Yeshua Who is Elohim, The GOD of all Creation is The Anointed One ordained by GOD to be killed on a Roman cross to shed His blood for our atonement. He is our offering for sin, as the prophet Isaiah writes in Isaiah 53.10. Messiah Yeshua is not just a man, He is Elohim, and it is GOD Almighty Who gave His Life to be our Atonement. Well, you might say, GOD cannot die. And you would be correct. But GOD in the Person of Yeshua The Messiah made Himself 100% a human being when at the moment of death, Messiah said, “My GOD, My GOD, why have You forsaken Me?” Why have you left Me? Yes, GOD cannot die, but GOD left Yeshua’s body making Messiah 100% human at the point of death allowing Him to be sacrificed and killed for our Atonement. Of course the Spirit of GOD reentered Messiah’s Body on the third day and raised Him to Life. Without faith in Messiah Yeshua, there is no atonement for sins whether you are Jewish or not Jewish. And that results in being blotted out of GOD’S Book of Life. However GOD will save and forgive the sins of many Jewish people at the start of the 1,000 year Millennium in Israel, The Age of Peace, when The LORD, The Messiah Yeshua returns to establish His Kingdom in the Land of Israel because The Bible says, those Jewish people without atonement will look upon their Messiah Yeshua, Who is GOD, Elohim, Whom we handed over to the Romans for death. And they will mourn for Him as one mourns for his only son because for the most part, we Jewish People have despised and rejected the Messiah Yeshua since He walked in the Land of Israel 2,000 years ago. And without a cause. And GOD will forgive their sins and remember them no more. Then all Israel will be saved. Every Jewish person GOD saves, He unfortunately will not save every Jewish person, but those whom GOD saves will be all Israel. LEVITICUS 23.37-39 Every Feast of The LORD required animal sacrifices for atonement over and above the daily sacrifices. And certain days of The Feasts are Sabbaths, in addition to the weekly Saturday Sabbath. The first and eighth days of Sukkot, Tabernacles are Sabbaths. No work is to be done on those days. And Sukkot is the fall harvest. LEVITICUS 23.40 Tabernacles is a time to rejoice before The LORD our GOD seven days. LEVITICUS 23.41 Tabernacles, like all GOD’s Festivals, is a Statute forever. All GOD’S Festivals that are written in Leviticus 23 will be observed throughout eternity. LEVITICUS 23.42 The Hebrew translation for this verse is; BAH’SUKKOT TEESHVU SHEEV’AHT YAH’MEEM KAL-HA’EHZ’RAKH B’YISRAEL YAYSH’VU BAH’SUKKOT. Meaning, all who are home born in Israel, you shall live in booths seven days. LEVITICUS 23.43 Why must Jewish people live in booths seven days during Sukkot, the Feast of Tabernacles? That your generations may know that I made the children of Israel to dwell in booths when I brought them out of the land of Egypt. I AM The LORD your GOD. LEVITICUS 23.44 And here in Leviticus Chapter 23, Moses declared to the Children of Israel The Feasts of The LORD. And for all who will be in the Family of GOD, these Festivals of The LORD are for you to observe and do. Let’s see how Messiah Yeshua observed Sukkot, The Feast of Tabernacles in John Chapter 7. John is Jewish. His given name is Yo’kha’nan, meaning Yehovah is Merciful. JOHN 7.2 The Feast of Tabernacles is The LORD’S Feast. “These are My Feasts” saith The LORD. Leviticus 23.2. Tabernacles is not a Jewish Feast. And the way the King James Bible spells it out, “Now the Jews Feast of Tabernacles was at hand”, those words have an anti-Semitic ring to many Jewish people. JOHN 7.24 VERSE 24 Judge according to Torah, The Law of Moses. JOHN 7.27-29 Yeshua said in the Temple as He taught, You both know me, and you know where I come from. ISAIAH 7.14 Yes, Messiah was born of a virgin. The prophesy reads, “Therefore the Lord Himself shall give you a Sign. Behold, a virgin shall conceive and bear a son, and shall call His Name Immanuel. ” Immanuel means GOD WIH US. The Hebrew word for sign is Ote meaning Miracle. A virgin giving birth is a Miracle. ISAIAH 9.6, The Hebrew TNAKH, ISAIAH 9.5, Yeshua is The Son Who is The Mighty GOD, The Everlasting Father, The Prince of Peace. From everlasting (from eternity) in Hebrew is olam meaning without beginning and without end. JOHN 7.31 And many Jewish people believed in Him. JOHN 7.41-48 And many believed in The Messiah Yeshua that day, on Sukkot. JOHN 7.49 Being Torah observant is believing in The Jewish Messiah Yeshua. And those people were not cursed. They were blessed because they obeyed The Law. JOHN 7.52-53 Again The Pharisees are wrong. Jonah the prophet was from the Galilee, from a town called Gath-Hepher, a town in the tribe of Zebulun in lower Galilee, three miles from Nazareth. 2 Kings 14.25. And the Pharisees are wrong rejecting The Messiah Yeshua and teaching against The Messiah Yeshua. He is their Messiah and their GOD, Hashem. Search The Scriptures and you will find Him. So yes, Yeshua is The Prophet, and He is The Messiah, The Almighty. Posted on October 12, 2014 March 24, 2015 Categories Shabbat MessageLeave a comment on THE FEAST OF TABERNACLES, WHERE MANY BELIEVED YESHUA WAS THE MESSIAH. YOM KIPPUR, THE DAY OF ATONEMENT, THE PLURALITY OF THE ONE GOD OF CREATION, AND THE WEEKLY SABBATH ON SATURDAY. Shalom. Our teaching this morning will be from Leviticus 23.1-3 and Verses 26-32. And the Title for our teaching is, YOM KIPPUR, THE DAY OF ATONEMENT, THE PLURALITY OF THE ONE GOD OF CREATION, AND THE WEEKLY SABBATH ON SATURDAY. And with that said, let’s read Leviticus 23.1-3, and Verses 26-32. LEVITICUS 23.1-2 Again, The Feasts of The LORD that Judaism calls the Jewish holidays are in actual fact The Feasts of The LORD. “Even these are My Feasts”, says The LORD. Thus The Feasts of The LORD are for everyone. And The LORD’s Feasts are appointed times set by The LORD GOD, such as every Saturday is appointed to be the weekly Sabbath. Holy convocations are Sacred occasions set apart for The LORD, dedicated to The LORD, especially at a Service held for The LORD. LEVITICUS 23.3 The Sabbath on Saturday, the seventh day of the week is also a Feast of The LORD, a Holy convocation, a Sacred occasion set apart for The LORD by holding a Service in His honor, dedicated to The LORD. It is The Sabbath of The LORD in all your dwellings, GOD says. GOD’s weekly Sabbath is NEVER on Sunday regardless of whatever reasons a man or woman may give. Ignore them. GOD says, “Six days shall work be done, but in the seventh day (Saturday) is a Sabbath of rest, a Holy convocation. You shall do no work in it. It is The Sabbath of The LORD in all your dwellings”. In Exodus 31.13 and 17, The LORD says that the Sabbaths are a sign between GOD and the Jewish people, and between GOD and all non-Jewish people who keep GOD’s Sabbaths and obey them, that we may know that it is The LORD that does sanctify us, Who sets us apart and makes us Holy. The Sabbaths of The LORD are found in Leviticus 23. They are the weekly Sabbath on Saturday, the first and seventh day of Passover, the day of Pentecost, the day of Rosh Ha Shannah or The Blowing of Trumpets, the Day of Atonement, and the first and eighth day of Tabernacles. I would like to revisit the plurality of The ONE GOD of Creation Who is Yeshua The Messiah. The Hebrew Name for The ONE GOD of Creation that is used most often in Tnakh, The Holy Scriptures, is ELOHIM. ELOHIM in Hebrew is gods, g-o-d-s. Yet there is only ONE GOD. That is Biblical teaching from the lips of GOD. But when speaking of The ONE GOD of Creation, ELOHIM is translated GOD, GOD singular. So why does GOD call Himself ELOHIM, as in Genesis 1.1. “In the beginning, ELOHIM created the heavens and the earth.” And Genesis 1.26, “and ELOHIM said, let US make man in OUR image, after OUR likeness? Although GOD is ONE, and GOD ALONE is GOD, GOD calls Himself ELOHIM, GODS because The ONE GOD of Creation is a plurality. Many in one. GOD is not just Spirit Who fills Heaven and earth, GOD is numerous, All ONE AND THE SAME GOD. The definition of the word plurality as in the plurality of The ONE GOD of Creation is the fact of being plural. The fact of being numerous. The fact of being a multitude. The fact of being a large number. And that describes ELOHIM, The ONE GOD of Creation. GOD appeared to Abraham, Isaac, Jacob, Moses and others in human form. And GOD appeared to Joshua as Captain of the Host of The LORD. He appeared to Moses and others as The Angel of The LORD, and The Angel of GOD. He appeared as a Flame of Fire out of a bush that did not consume. He was the Fire that led the Children of Israel by night in the wilderness, and the Pillar of Cloud that led them during the day. The ONE GOD is The Spirit of GOD, The Spirit of Messiah, The Spirit of Christ, The Holy Spirit, and Yeshua The Messiah. The ONE GOD is The Glory of GOD that filled The Tabernacle and The Temple. Yes, GOD speaks to GOD as in “The LORD said to My LORD, sit at My right Hand until I make your enemies your footstool.” And when Yeshua lifted up His eyes to Heaven and said, “Father, the hour has come. Glorify Your Son that Your Son also may glorify You.” Both are The ONE GOD, ELOHIM. They are NOT different from each other, they are the ONE GOD, ONE AND THE SAME, ELOHIM. There are many gods in the world today. The trinity has three or four gods. But when Messiah returns, the world will know that there is only ONE LORD, ONE YEHOVAH. And His Name is YESHUA THE MESSIAH. GENESIS 1.26 “And ELOHIM said, Let us make man in Our image, after Our likeness.” Yes, GOD is an US. But there is only ONE GOD. GOD ALONE is GOD. GOD is ELOHIM. ELOHIM is The Father, The Son, The Messiah, The Spirit, The Holy Spirit, The Spirit of Messiah, the Spirit of Christ, and often The Angel of GOD, and The Angel of The LORD. ELOHIM is GOD, one Like The Son of Man, one Like a human being, The Ancient of Days, GOD Almighty, The Glory of GOD, the Pillar of Cloud, the Fire, the King, The Creator of Heaven and earth. GOD, ELOHIM is The LORD of Hosts, Yehovah, Jehovah, Yahway, Hashem, Adonay, El Shaddai, The Most High, Yeshua The Messiah, and a whole lot more. GOD is ONE, and HE ALONE is GOD, and GOD is an US. “Let US make man in OUR image, after OUR likeness.” That is GOD, ELOHIM. GENESIS 1.27 So GOD, ELOHIM created man in His own image, in the image of GOD, in the image of ELOHIM. We are created in the image of GOD. We look like GOD in His human form. And we have many of GOD’s qualities. The bad qualities come from someone else. There is only ONE GOD. The teaching of the trinity that GOD is one in three distinct and different persons is flat-out wrong. That is pagan teaching that originates from the pagan Constantine, the emperor of the pagan ancient Roman empire from 306 to 337 A.D. The trinity is nowhere to be found in The Bible. But one is an easy number to count, as in ONE GOD. LEVITICUS 23.27 GOD commands us to afflict our souls on the Yom Kippur, The Day of Atonement. In my opinion, afflicting our soul has nothing to do with fasting. That is Rabbinic law. Afflict in Hebrew is AH’NAH meaning to humble our self, and be submissive to GOD by obeying Him. Every Word He speaks, every Law and Commandment He commands. That is afflicting our soul. Being humble and obedient to The LORD our GOD. LEVITICUS 23.29 For whatsoever soul it be that shall not be afflicted in that same day, he shall be cut off from his people. I do not see GOD cutting off anyone from among their people for not fasting. Not being humble and obeying GOD however is a serious crime. Fasting on Yom Kippur is a Jewish Law, instituted by the Rabbis. Obeying Torah, GOD’s Law of Moses is both a Jewish Law and GOD’s Law. And GOD’S Laws must always be obeyed. LEVITICUS 23.30 Working on The Day of Atonement is a capital crime in the sight of GOD. In conclusion, The Day of Atonement, and all GOD’S Festivals of Leviticus 23 remind mankind of the huge importance of atonement. The importance of having your sins forgiven by GOD ALMIGHTY. Being forever written in GOD’S Book of Life, and spending eternity in Heaven with The LORD your GOD, Yeshua The Messiah. And atonement can only be made by the shed blood. “For it is the blood that makes atonement for the soul”, Leviticus 17.11. And it is the shed Blood of The Jewish Messiah Yeshua, Elohim, Who makes Atonement for you and me. Posted on October 5, 2014 March 24, 2015 Categories Shabbat MessageLeave a comment on YOM KIPPUR, THE DAY OF ATONEMENT, THE PLURALITY OF THE ONE GOD OF CREATION, AND THE WEEKLY SABBATH ON SATURDAY.